Commercial air travel takes you high above the surface. On a recent flight, are cruising altitude was 36,000 feet, give or take. At any rate, in the comfort of the cabin, I enjoyed an ice-cold Coca-Cola as you see here. 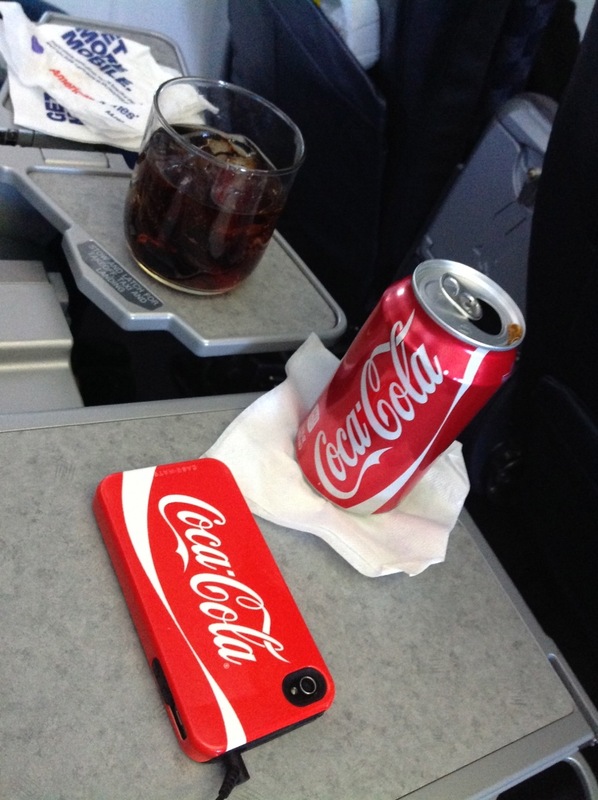 Enjoying Coca-Cola at 36,000 feet. I have the protective cover on my phone coordinated with my choice of beverages. This was another great flight aboard American Airlines, with friendly cabin staff. No matter what you’re flying, ALWAYS do your checklist and follow crew instructions. The NEW BIG NEW MINI market. Huh? That’s right! 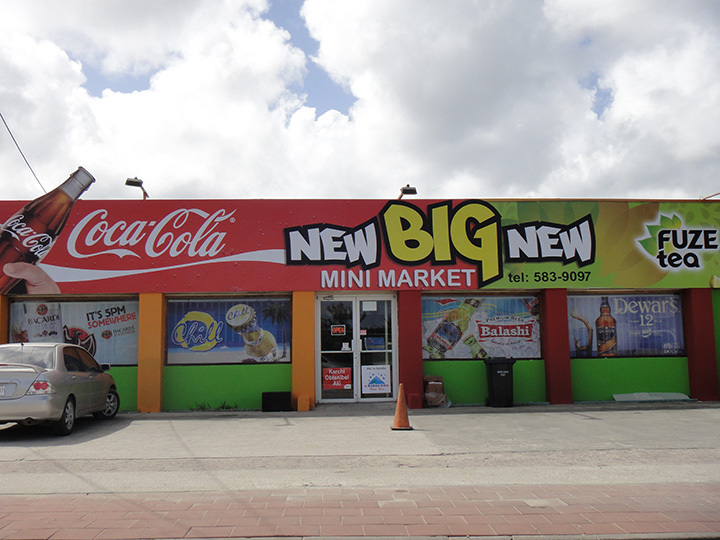 This place is the NEW – BIG – NEW, mini market. Has to be a winner because they have that giant Coca-Cola bottle on the left. Anyway, if you’re on the island, go for a ride and see the sights, including the local signs. Lots of laughs. Aruba features great Coca-Cola signage, from old-time painted walls to newer laminates like this one at a local Chinese restaurant. 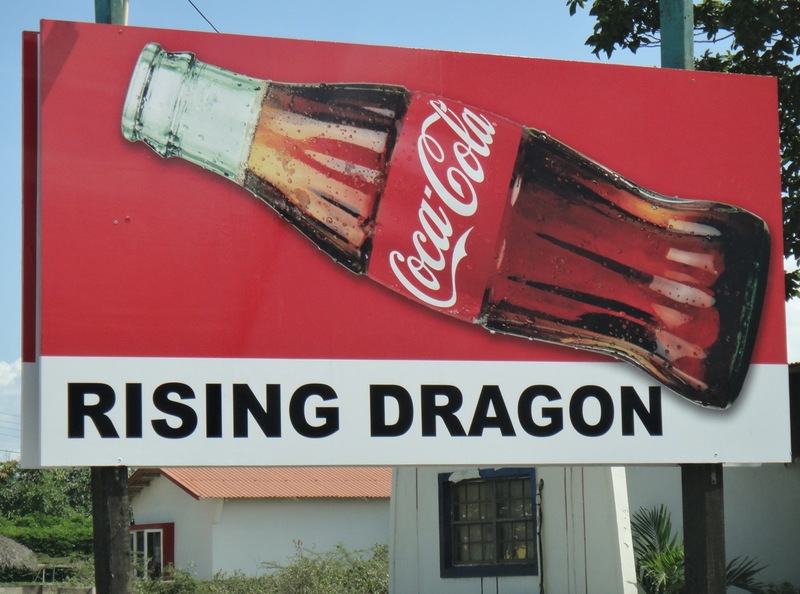 Coca-Cola sign at the Rising Dragon Chinese Bar in Aruba. I’ve been out taking more pictures of all kinds of cultural icons here in Aruba. Some of them are disappearing and new ones are cropping up. It’s good to have a record of the change so we know where we came from, even if we don’t know where we’re going. Something to think about it.